Feral Interactive on Monday announced plans to release Lego Indiana Jones: The Original Adventures on Friday, Nov. 28th. The game will cost $39.95. Developed by TT Games and LucasArts, Lego Indiana Jones takes a page from the Lego Star Wars games (one of which Feral also brought to the Mac). 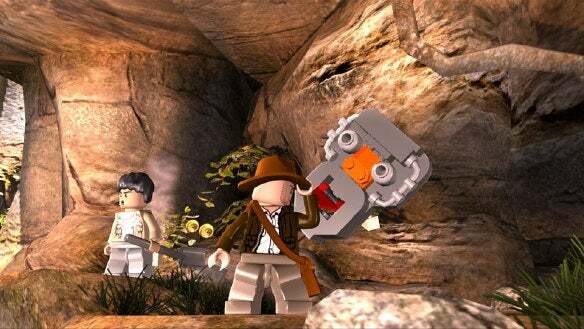 The game combines the fun of building Lego construction toys with the adventures of Indiana Jones, intrepid archeologist and adventurer, and star of four blockbuster movies. The game features missions inspired by the first three Indiana Jones movies — Raiders of the Lost Ark, Indiana Jones and the Temple of Doom and Indiana Jones and The Last Crusade. Players will help Indy recover the Ark of the Covenant, and then will fight Nazis for control; then they travel to India to recover the Sankara Stones and battle Mola Ram. Then Indy teams up with his father to help recover the Holy Grail. System requirements for the game call for an Intel-based Mac operating at 1.8GHz or faster, 512MB RAM, graphics with 128MB VRAM, Mac OS X 10.4.10 or later and 5GB hard disk space.